I can’t even believe that Charlotte is at the age where she falls into the “big girl room” category. Where did the time even go? It’s so cliche but so true when people say the days are long but the years are short. Just like that she is wearing big girl undies and growing out of her toddler bed! We are lucky enough that Ryan’s Dad is super talented and can make just about anything we ask him to, so when it was time to start thinking about Charlotte’s big girl room, we immediately asked PaPa (Ryan’s Dad) if he could make the bed that we chose for Charlotte (and that Charlotte ok’d). While we were waiting for that to be made, I figured I would start with the rest of the room. I knew at some point I wanted to replace the decals that we had on the wall. They were there since we built the home in 2005. 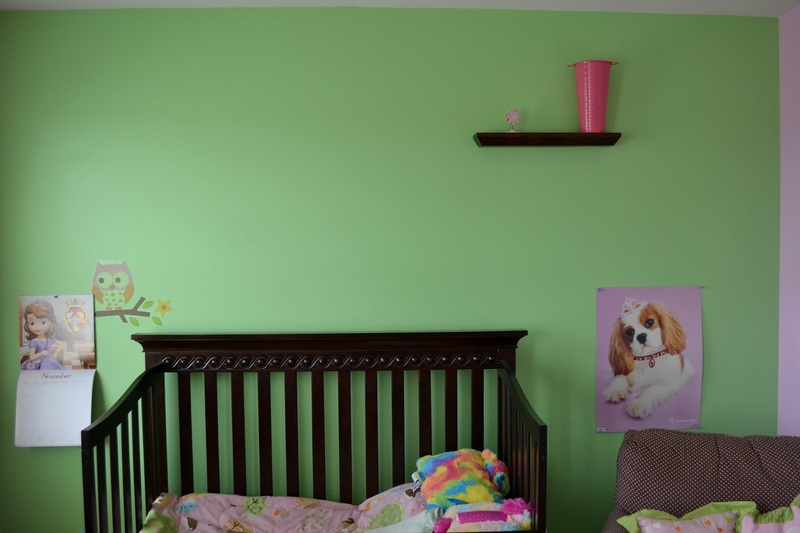 It was first Ella’s room, then became Charlotte’s when she was born. (the toddler bed also doubles as a crib). The decals, while cute at the time, have worn out their welcome. They were also a you-know-what to remove. 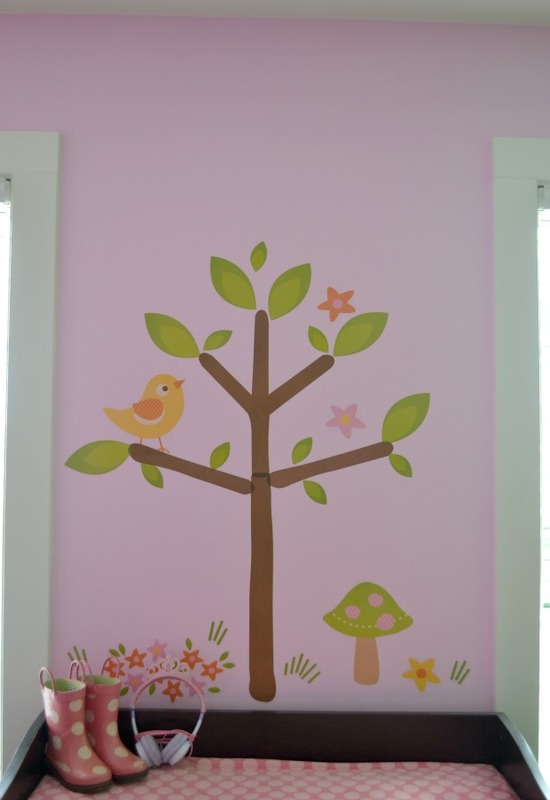 I do not recommend leaving decals like this on your wall for five years! Ugh! Let’s just say I was glad we still had the can of Princess Pink paint in the basement for touch ups! 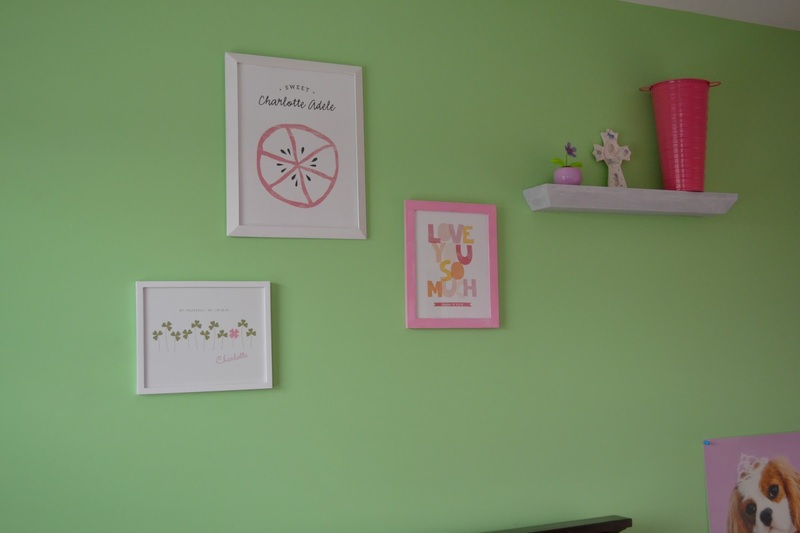 While I am far from an interior decorator, I knew I wanted adorable prints for the walls that were a fit for the overall look and feel I was going for. 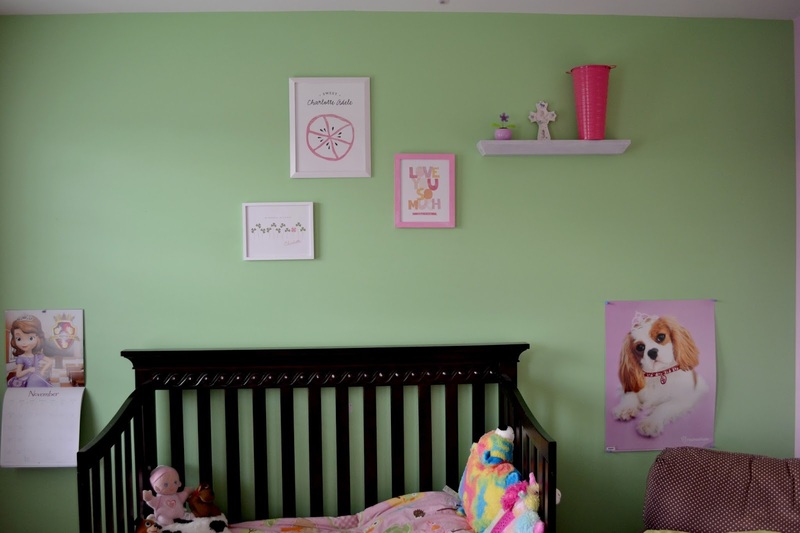 Minted has an amazing selection of prints, a lot of them being customizable. I had such a hard time choosing, because there were a ton that I adored, but ultimately, I was able to narrow down what I wanted based on the color scheme I was aiming for. 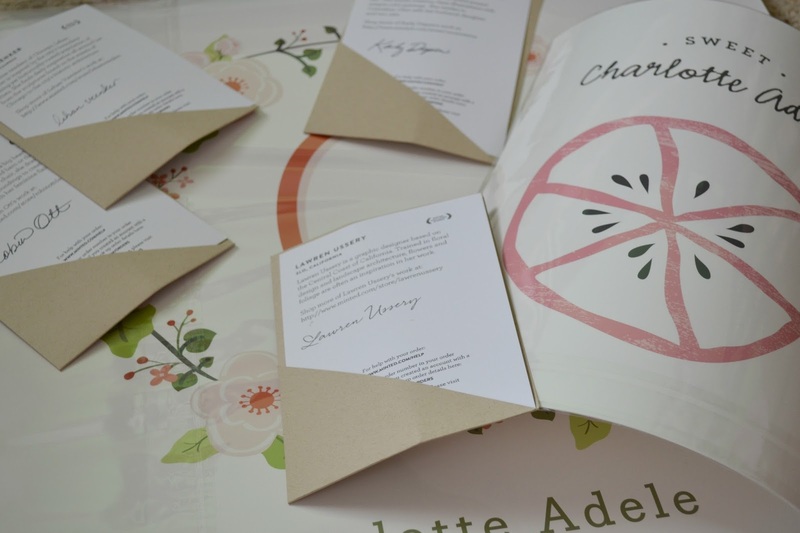 I love that the Minted community is created from independent artists and designers. 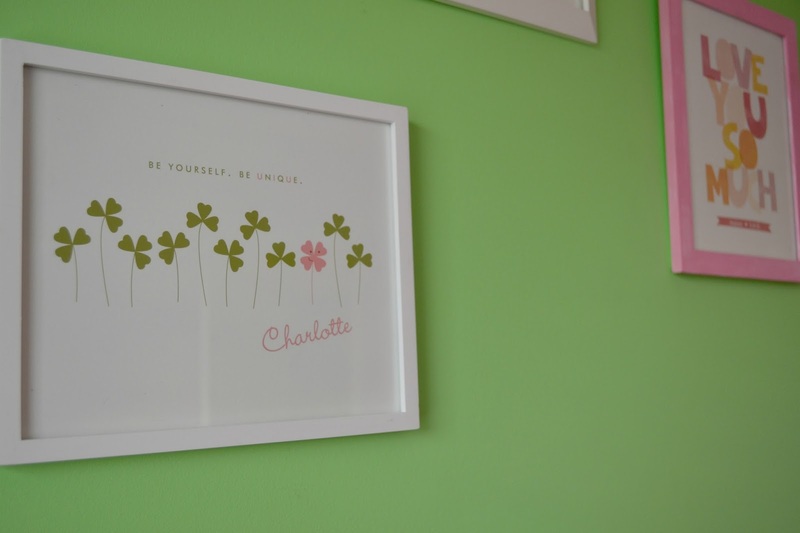 I know Charlotte’s prints are made especially for her! Each print is packaged individually, and they also include a little thank you note/about me postcard on each artist. For my boutique, I send out little handwritten thank you’s for online orders, so seeing something like this included in my order is important to me and makes a huge impression. From their selection of children’s prints (and all other prints as well), you can choose to have them framed or unframed. Hindsight, I wish I would have chosen to have them framed because it would have saved me some time! It costs a little bit more to have them framed, but it’s totally worth it! I love how this wall turned out! I may even add one or two more prints to the wall. (I have my eye on this one and this one) Like I said, I tried to pick prints that would all complement each other. Little Clover was just adorable, and I loved being able to personalize it. Modern Fruit No. 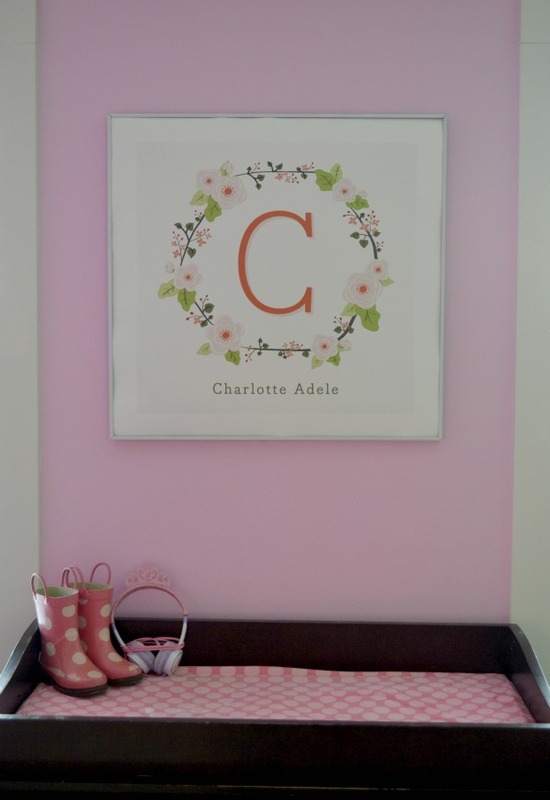 2 was another favorite of mine, and I loved that I could once again add Charlotte’s name and get it in pink! 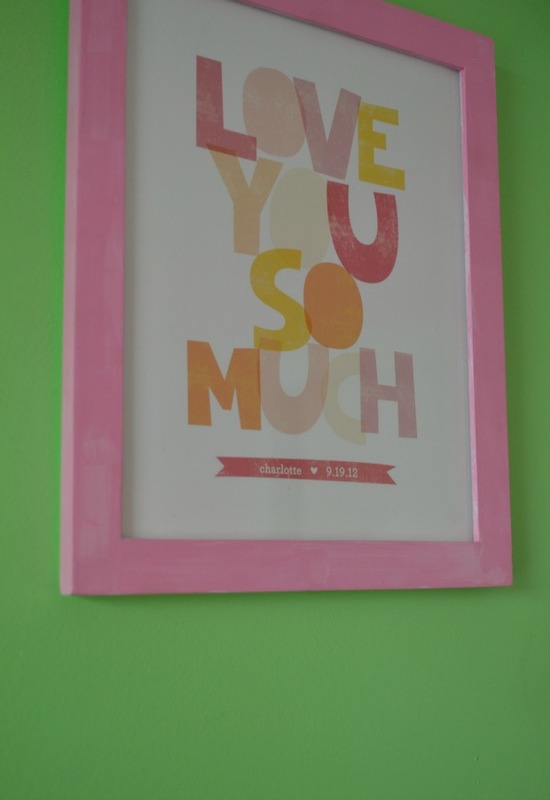 The Love You So Much print rounded out the wall, and is simple, but so true! Now that the walls are done we just have to wait for her bed to be done and swap out the changing table and dresser for new furniture and we will be done! I love doing something like this in phases…it feels less overwhelming! Minted is also having some great deals over the Thanksgiving holiday. Their Black Friday deal (from 11/25-11/27) they are offering 15% off $100+ and 20% off $150+ of all holiday/art gifts. For Cyber Monday (11/30) they are offering 25% off all non holiday products! In addition to their great selection of prints they also have an awesome selection of holiday cards! Thank you to Minted for sponsoring this post. All thoughts and opinions are 100% my own.